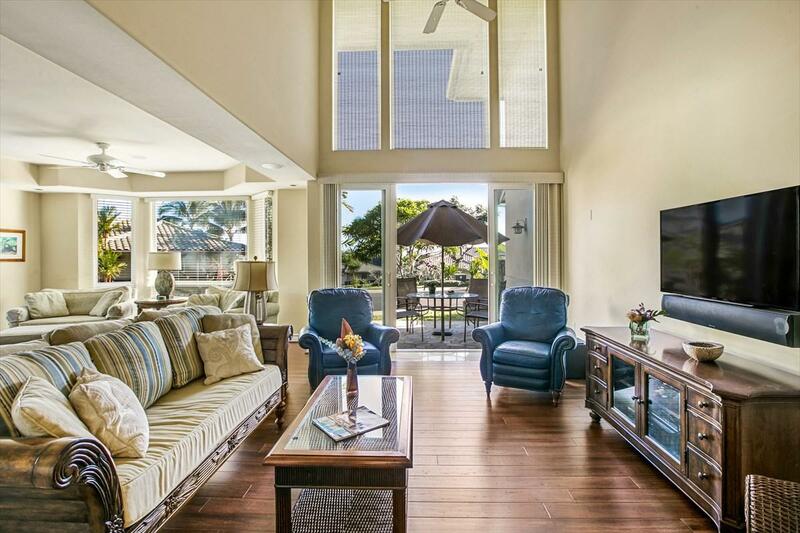 Ideal 2-Bedroom Opportunity at Ka'iulani! 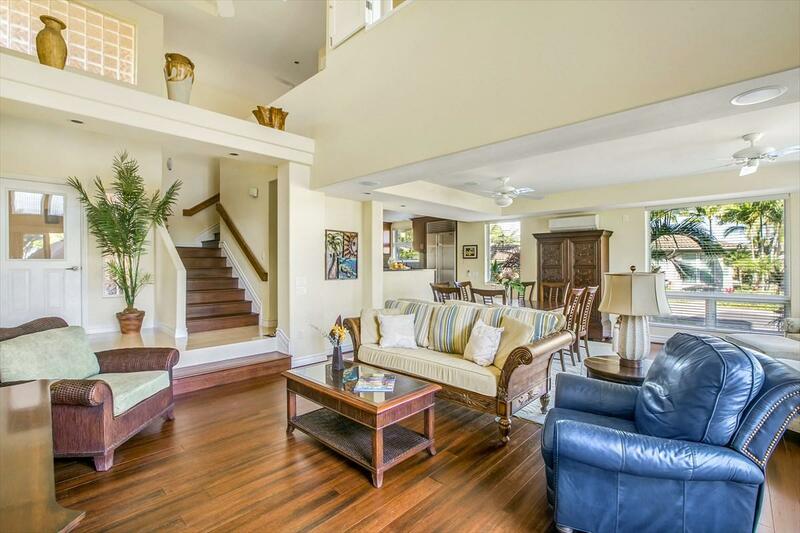 This luxurious town home is located in one of the most prestigious neighborhoods in Princeville. 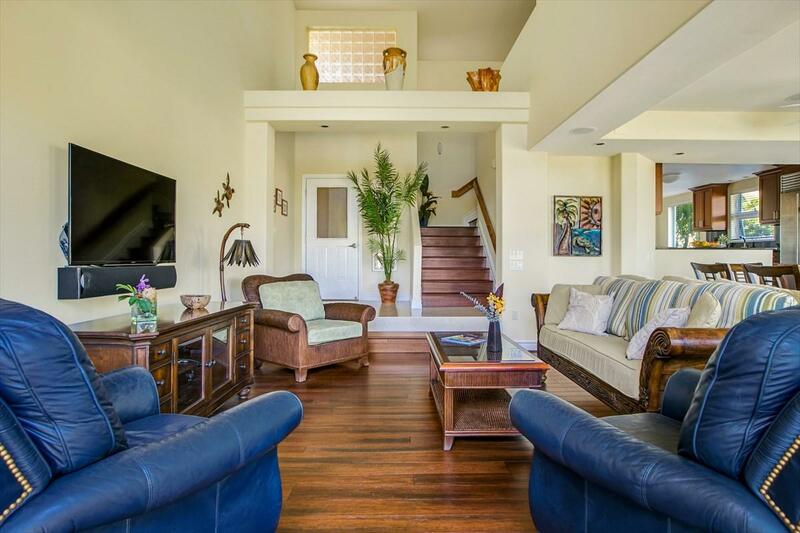 This is an end unit "B model in a prime location with ocean views from upper floor. The 18-foot ceiling and 2-story floor-to-ceiling windows in the main living area gives it a very open and spacious feel. Fine finishes include new hardwood floors, slab granite counter tops, Aristocratic cabinetry, Subzero/Wolf built-in appliances and full size Washer/Dryer. Upgraded home theatre system valued at $18,000. New A/C system offers a comfortable, controlled climate throughout! Quality custom furnishings and decor included. Spacious open floor plan and attached 2-car garage make this feel more like a home than a condo! Ka'iulani of Princeville is a low-density resort community. With buildings spaced 25 to 35 feet apart, the site plan fosters a single-family feel in a five-star resort setting. 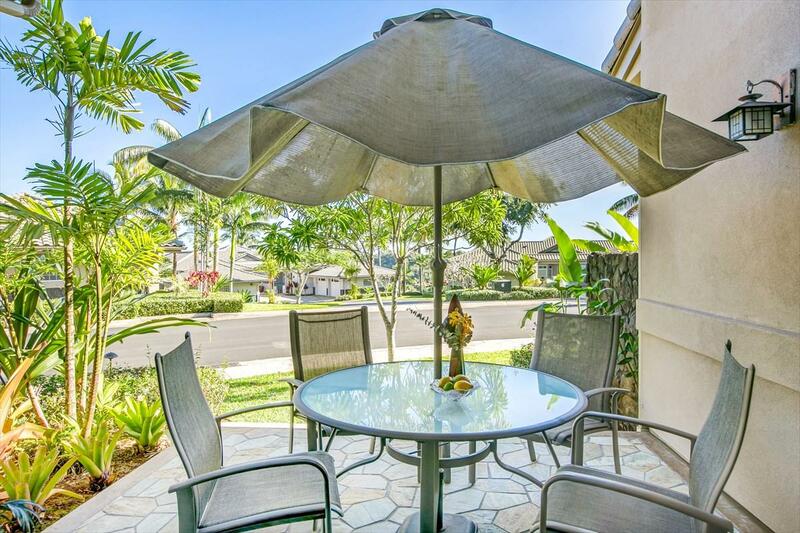 Located on an 18-acre parcel in Queen Emma's Bluffs. The land is on a peninsular bluff with the Prince Golf Course's 8th fairway to the west, the Pacific Ocean to the north, and a 250-foot deep valley and Mount Kilauea beyond to the east. To the south is the entire Namahana mountain range. Enjoy resort-like amenities: three heated pools, spa, two BBQ areas, and covered pavilion. Ka'iulani also features mature tropical landscape and one-half mile lighted walking path plus a resident manager. This is the lifestyle you have been searching for... a single family home feeling in a convenient, condominium setting!